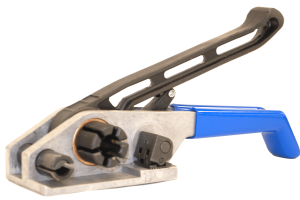 Melbourne Packaging Supplies has a massive range of the best manual strapping tools available for PP strapping. 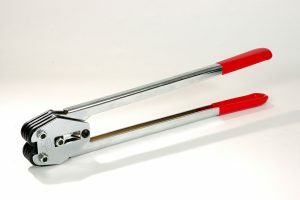 We have the latest USA made tensioners and sealers along with our cost effective YBICO range of tensioners and sealers. 12mm PP Plastic Strapping sealer The YBICO PXB4 12mm Strapping Sealer is in stock and available for immediate delivery. To be used with 12mm strapping. 12mm Premium PP Sealer USA The PP200-12 Strapping Sealer comes with a 6 Month manufacturer’s warranty, that covers non-wearing parts. 16mm PP Plastic Strapping sealer Our Standard YBICO Polypropylene Strapping sealers are designed to use with standard OF and OF HD Strapping seals. 16mm Premium PP Sealer USA The PP200-16 Strapping Sealer is in stock and available for immediate delivery. 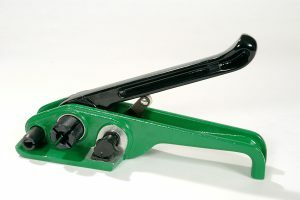 To be used with 16mm polypropylene strapping. 19mm Premium PP Sealer USA The PP200-19 is a USA made 19mm sealer to be used with polypropylene strapping and OF or OF HD seals. PREMIUM USA PP/PET Strapping Tensioner Our premium USA made PP & PET Strapping tensioner suits 12mm, 16mm and 19mm Polypropylene and Polyester strapping.